Buy 7 Bulbs, Get 7 Bulbs FREE! 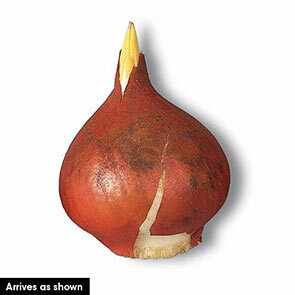 You will receive 7 FREE Bulbs when your order arrives. Please note, the additional 7 Bulbs will not show on your web order and will be processed when your order ships. Unusual colouring of feathered petals gives this tulip an alluring appeal. Unique and elegant! 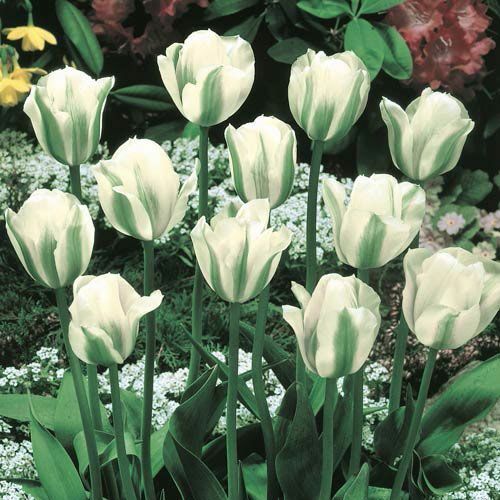 The 5" flowers are made up of frilled, reflexing white petals with distinctive emerald-green feathering. Very long lasting. Showy blooms energize borders and bouquets. Flower Form Upright, double, bell or funnel shaped.